Some sellers charge sales tax, usually by state. In the US, the law requires a business to charge tax in any state that they have a physical presence in (office, warehouse, etc). A. 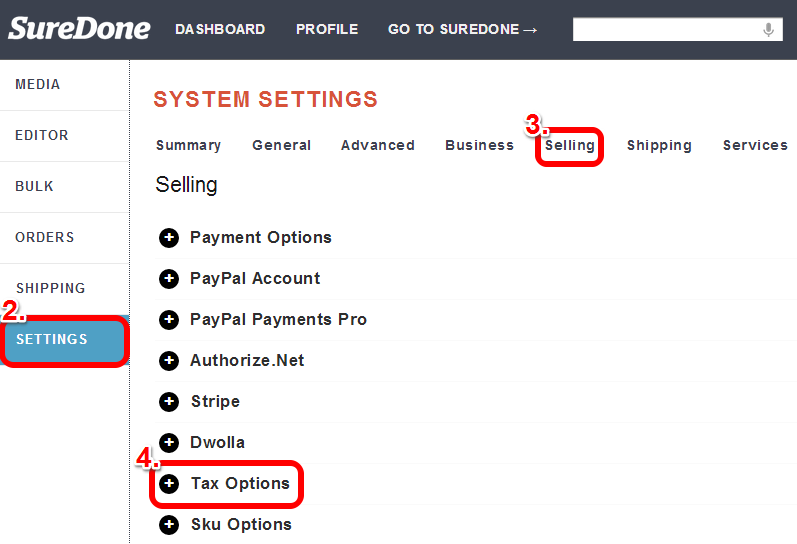 Tax - this toggle switch tells SureDone if you will collect tax in the state or region. On, means you will, off means you won't. B. Tax By - usually left to the default state, this asks how you assess who will be tax, everyone in the entire country, or only those in specific states? 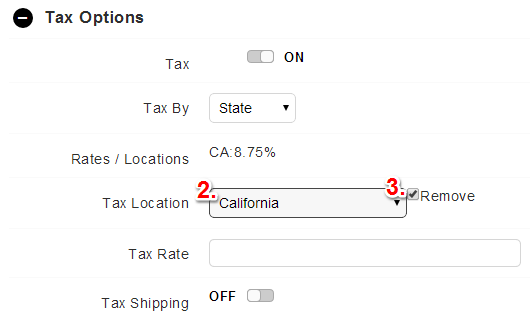 C. Tax Location - this is where you select the state or territory that will be subjected to tax. Generally, US law requires that you only tax residents of states in which you have a physical presence. Check you local tax law. D. Tax Rate - enter here a decimal value for the take rate (i.e. a 8.6% rate is .086). 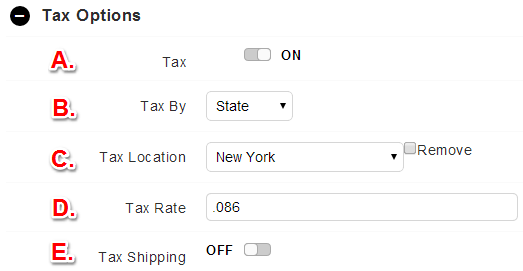 E. Tax Shipping - turn this switch on if you will tax shipping, leave it off if you will not. 5. Once you're done with the settings, click Save Settings at the bottom of the page. 6. Repeat this process for any states you wish to collect tax in. Once you have entered at least one tax rate, you will notice that a new field will appear labeled "Rates/Locations" - this is where you will find a list of any and all tax rates you have set up in SureDone.